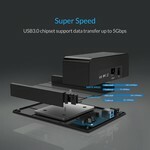 Horizontal 2.5 and 3.5 inch hard disk docking station USB 3.0 to SATA. 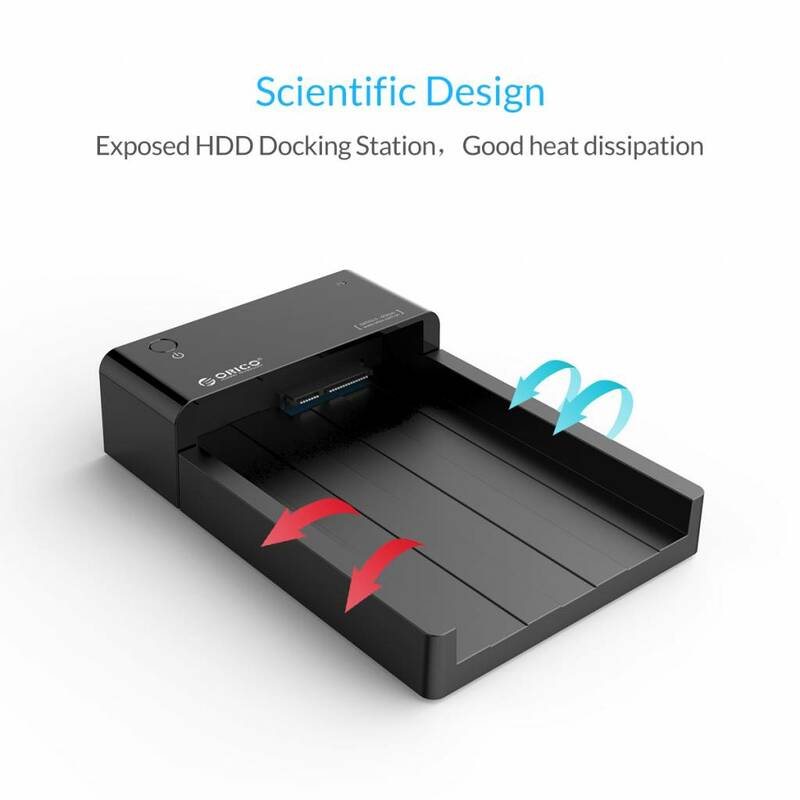 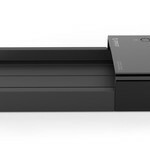 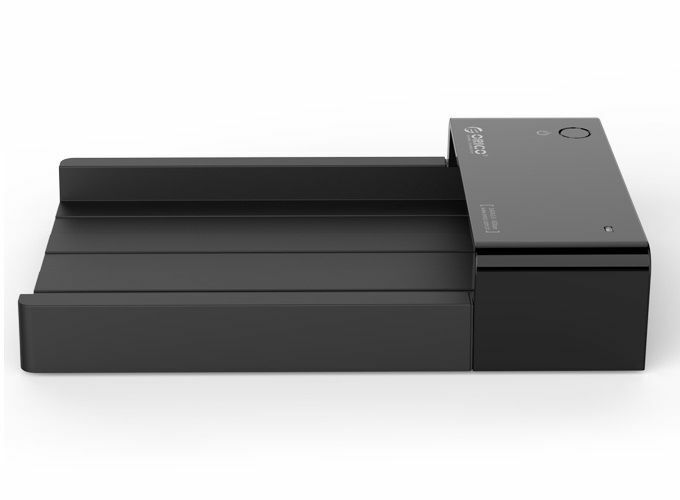 This hard disk docking station is solid and modern in high quality ABS. The stable horizontal position gives off heat well and makes the disconnection of the hard disk easy. 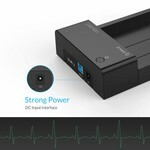 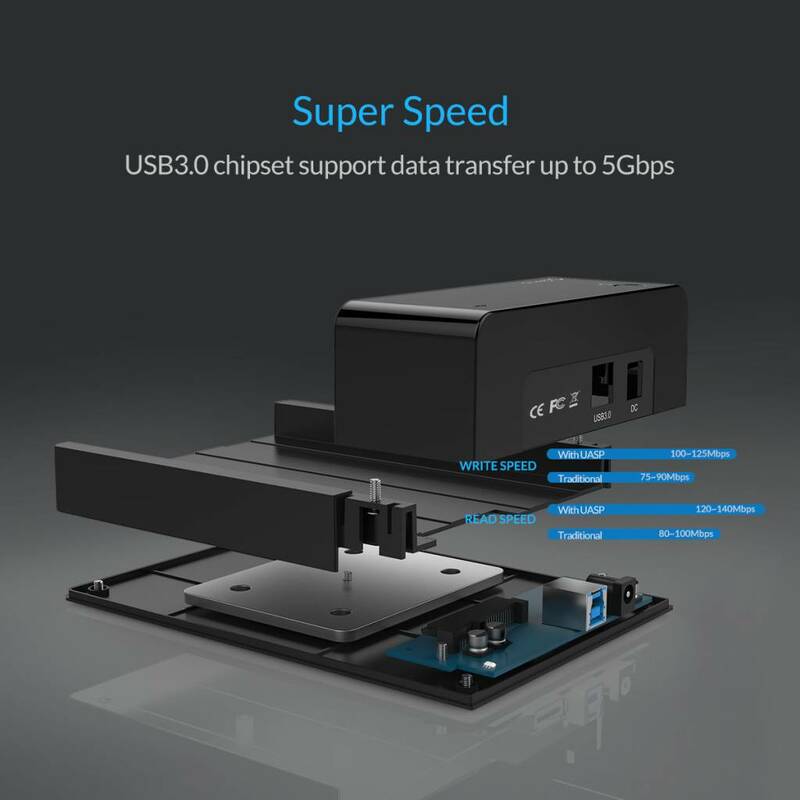 With a USB 3.0 interface this docking station supports hard disks with a super fast data transfer rate of 5Gbps, which is no less than 10 times faster than USB 2.0! 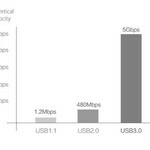 This ensures that the data is transmitted very quickly. 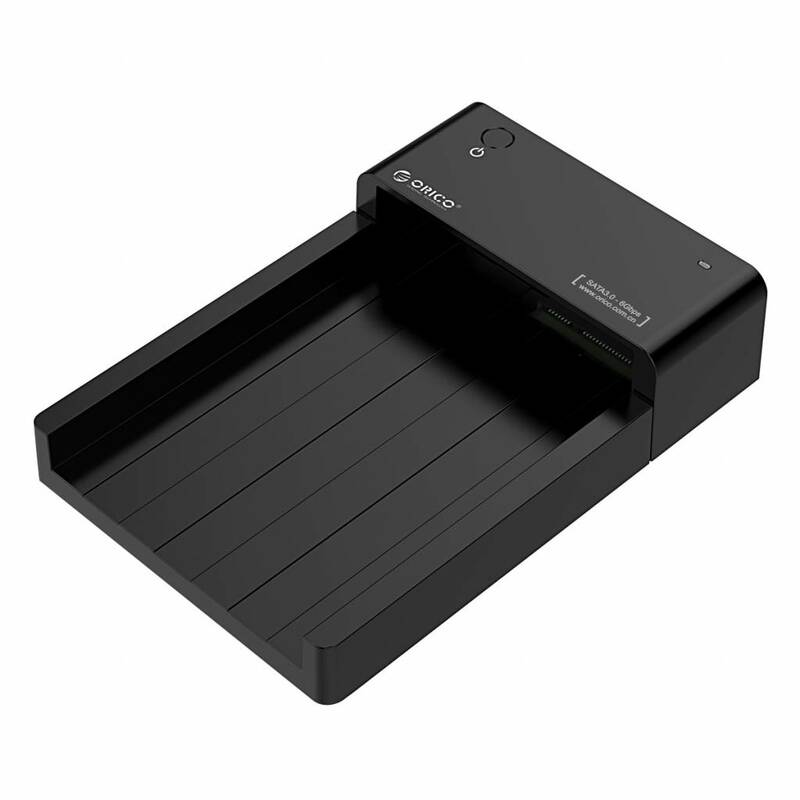 Use your SATA hard drive in Orico's docking station to store more HD movies, important data and files, or restore or copy your old files. 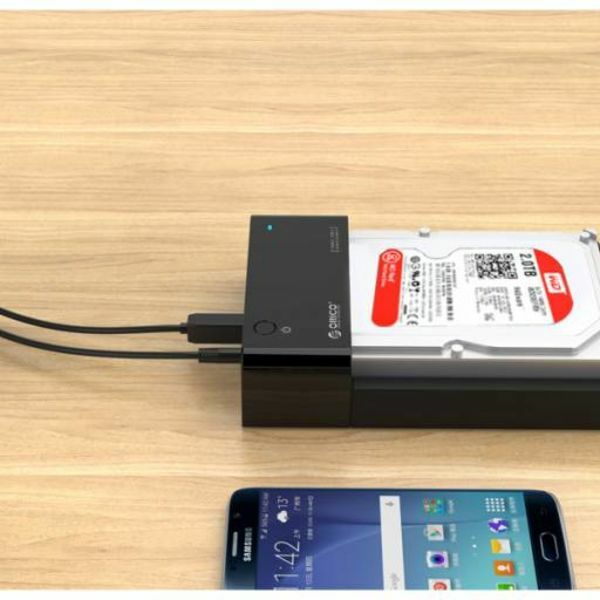 Connect the ORICO hard disk docking station to your PC, HD player, Smart TV, router and cloud server and experience the comfort and convenience of exchanging data with the additional expansion option up to 8Tb. 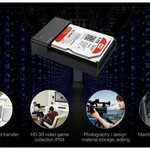 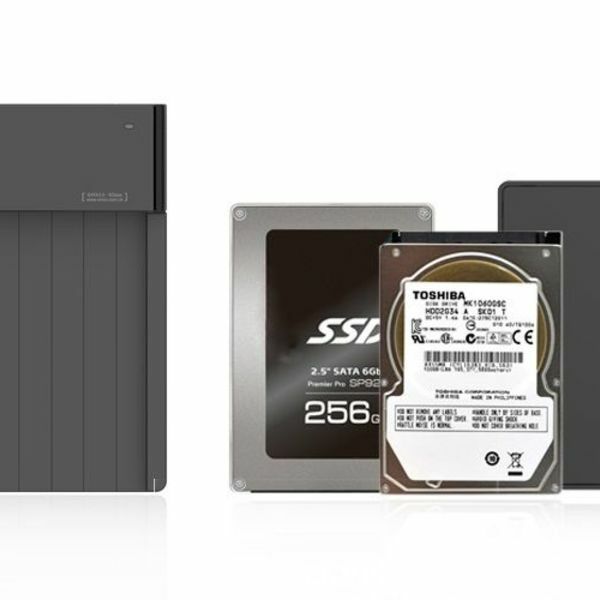 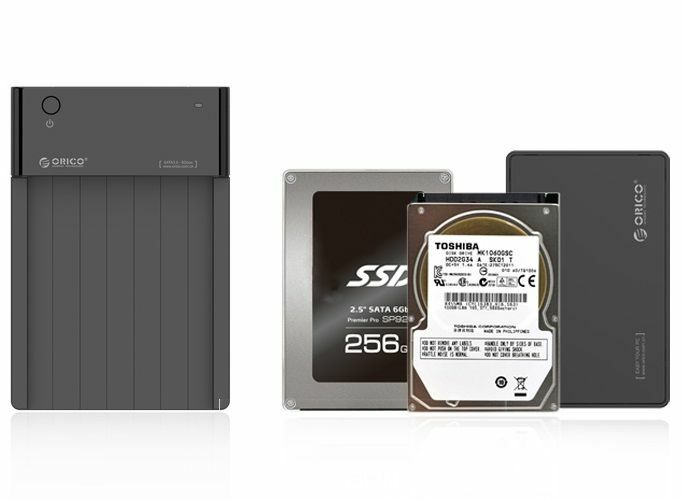 The perfect solution for anyone who needs large storage space to store large amounts of data. 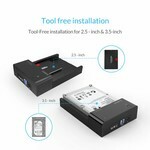 No driver, software, technical knowledge and / or tools needed! Thanks to the user-friendly design, the docking station is ready for use within 3 seconds! 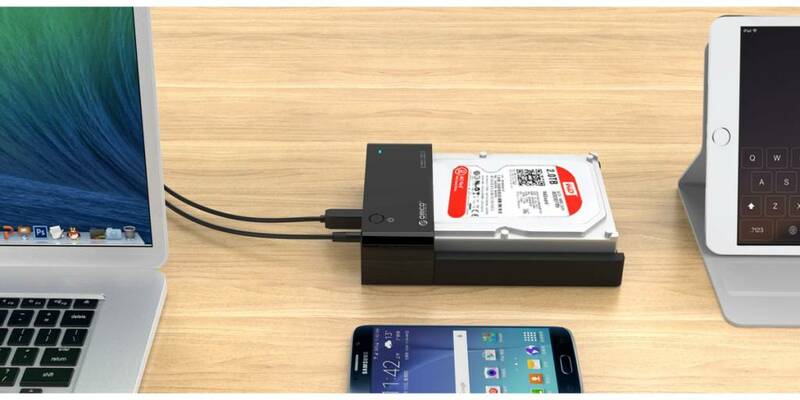 Ideal for storing, deleting, or updating data on your hard drive. 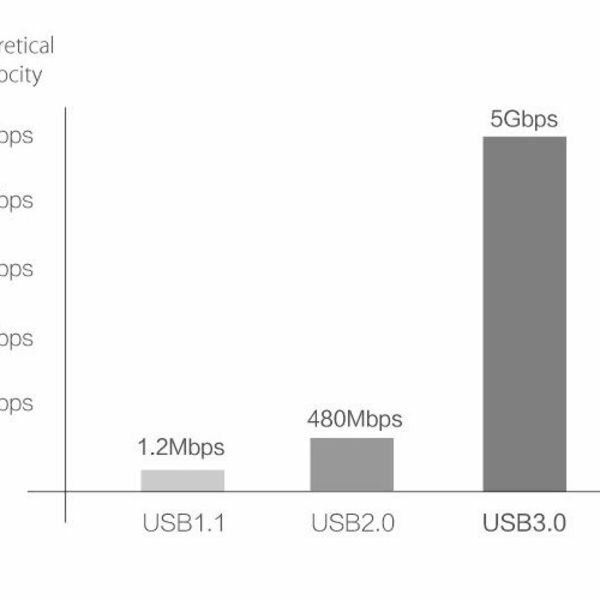 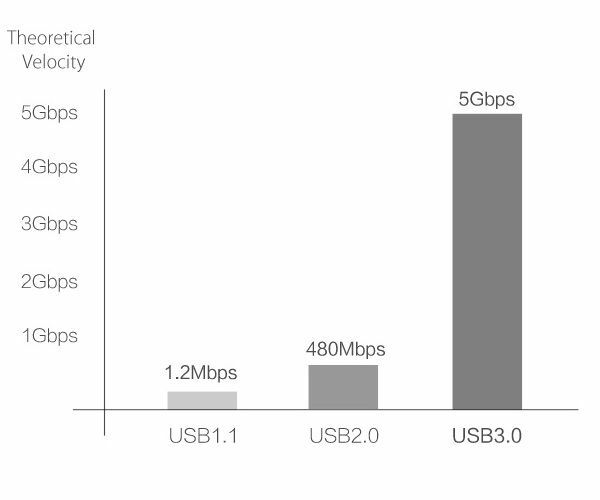 The docking station has a built-in SATA3.0 controller, which not only ensures high speed up to 5 Gbps, but also supports the UASP protocol and reduces CPU usage. 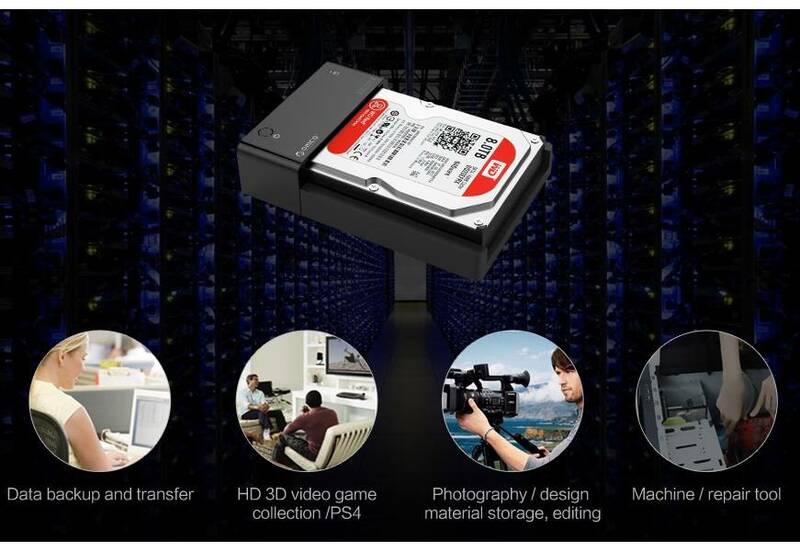 This way you experience maximum performance!